Getting the keys for your first home is an exciting time in anyone’s life, however it is often a complicated process to get there! From the paperwork through to the various loan options through to deciding on a variable or fixed interest rate, the first homebuyers market can be a daunting environment for a newcomer. 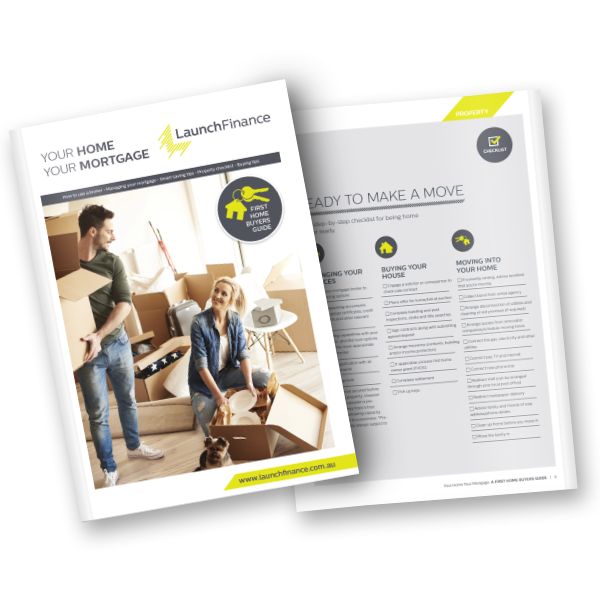 Launch Finance is committed to finding the best home loan for your budget and circumstances, to ensure that your first experience as a homeowner lives up to the great Aussie dream! With our vast network of trusted lenders, we can ensure that you get the most comprehensive choice of home loan products that are suitable to you, with the greatest savings for your situation. We pride ourselves on our ability to keep communication open with our clients, making your transition into being a first home buyer a simple process. Whatever your current financial situation, we will find the right home loan for you. Launch Finance is here to make your dream a reality, in the simplest way possible. Get in touch with our brokers today. The below information applies to Western Australian residents. There are a variety of finance options available to first home buyers. Our friendly brokers are highly experienced in helping find the ‘right loan for you’, to suit your circumstances. We understand that saving for your first home is not always easy, it is true that lenders generally prefer a 20% deposit however there are many options available for a 90% or even 95% lend! This means that with a 5% deposit, the option for a bank loan is still a possibility. A small deposit is a great step towards your home owner dream and may be what enables you to enter the market sooner rather than later. One thing to consider with a deposit of less than 20%, is that you will need to pay LMI (Lenders Mortgage Insurance). This is an insurance policy that the lender takes out to protect themselves when there is an LVR (Loan to Value Ratio) above 80%. Keystart Home Loans, an initiative of the Western Australian Government, aims to make the dream of affordable home ownership a reality for more people. Keystart offers lower upfront costs with deposits as low as 2% and no Lender’s Mortgage Insurance. You will pay a higher interest rate with a Keystart Loan in comparison to a traditional lender however it is a great option to help you get started in the market and without the cost of LMI. A guarantor traditionally uses equity in their property to provide additional security for your loan. This lowers the risk for the lender by bringing the overall LVR to under 80%, which enables the first home buyer to minimise their deposit, interest rate and avoid paying an LMI premium. If you have a family member who is able to assist as a guarantor, this could be a great option to help you take your first step into the market. Once you have built enough equity in your property, you can apply to refinance your loans so that your guarantor can be released. The First Home Owner Grant (FHOG) was a scheme introduced in 2000 designed to make it easier for first home buyers to purchase their first property. Currently, the FHOG is a one-off upfront payment of $10,000 paid by the State Government towards the construction of a new home or the purchase of a brand-new, never lived in property. stop renting, own your own home now! Find out if I qualify! There are a few things to consider when deciding on your first home, established or new? The first home owners grant is no longer available for the purchase of established homes. If you are buying an established home, you may still be able to apply for the first home owner’s reduced rate of stamp duty (under certain conditions). See the Duties Fact Sheet 'First Home Owner Rate of Duty' for more information. If you build or buy a brand-new home (that has never been lived in), you may be eligible for the State Government First Home Buyers Grant (FHOG) of $10,000. Purchases that fall into this category also include turn-key homes and buying off the plan. Some helpful articles for your 1st Homebuyers journey! Buying property off the plan? Stop dreaming about your first home and start living it! Send us your details and one of our friendly brokers will be in touch.